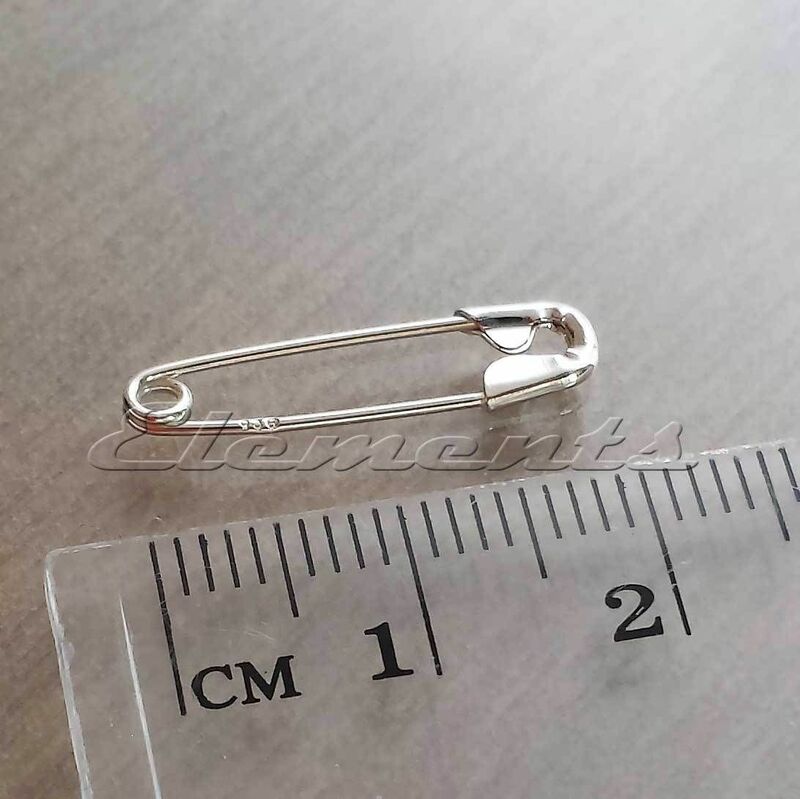 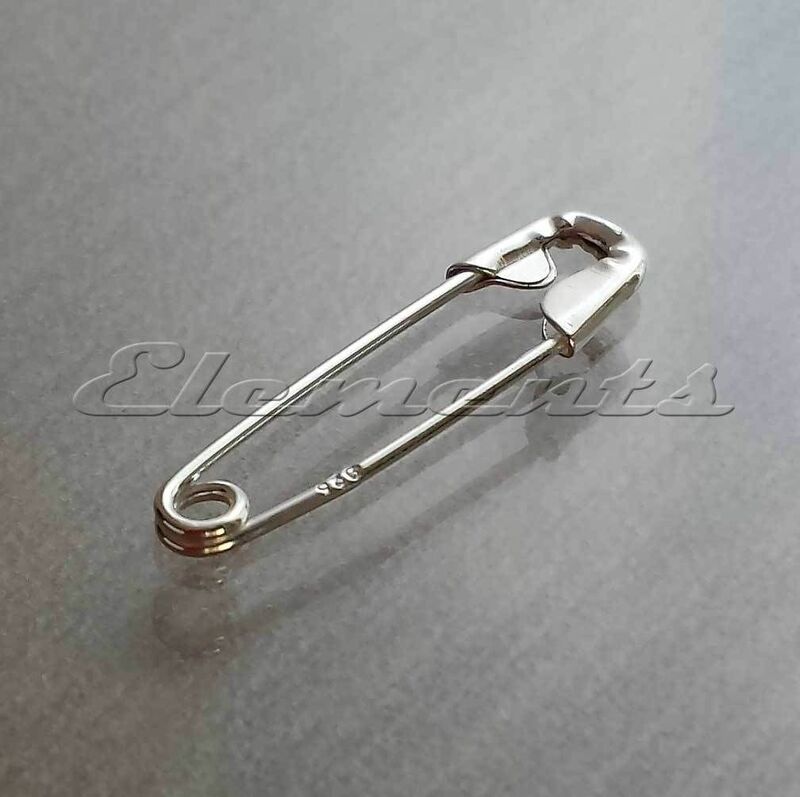 These safety pins are made entirely from solid Sterling Silver. 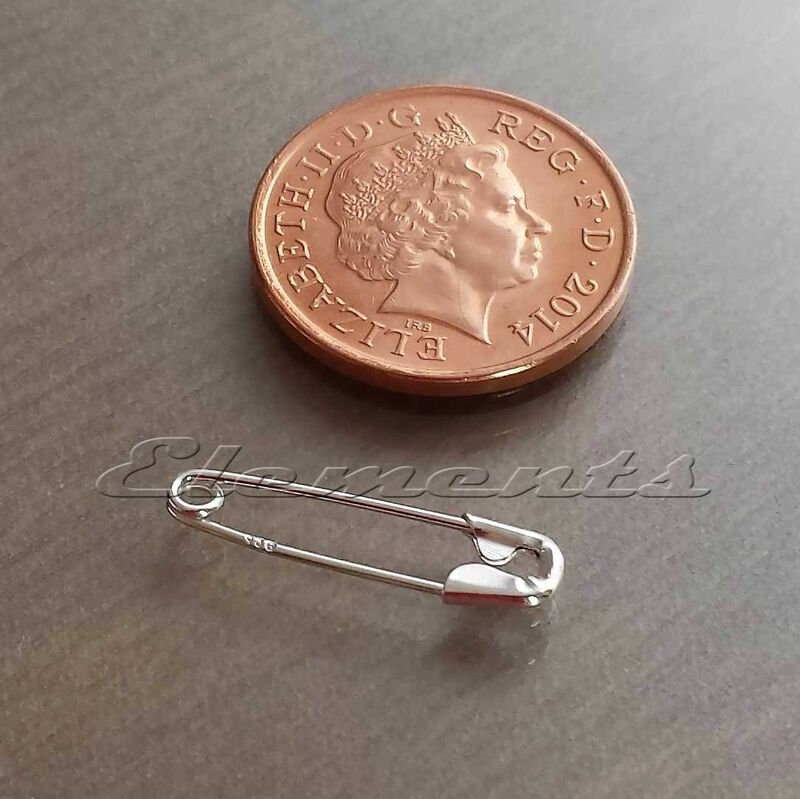 They are approximately 19mm long (see image above next to 1p coin). 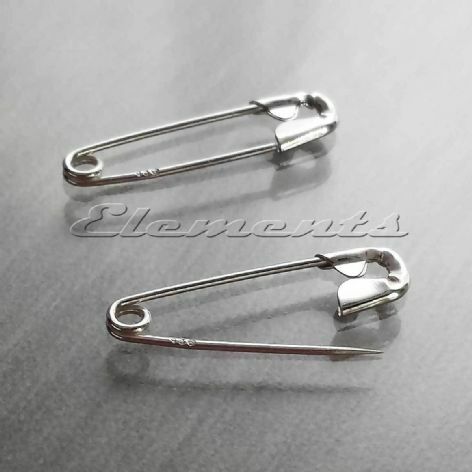 Please note, since silver is 'soft' metal, the safety pins are not as strong as the steel ones.